Arrival and reception at the Jomo Kenyatta International Airport (Nairobi). 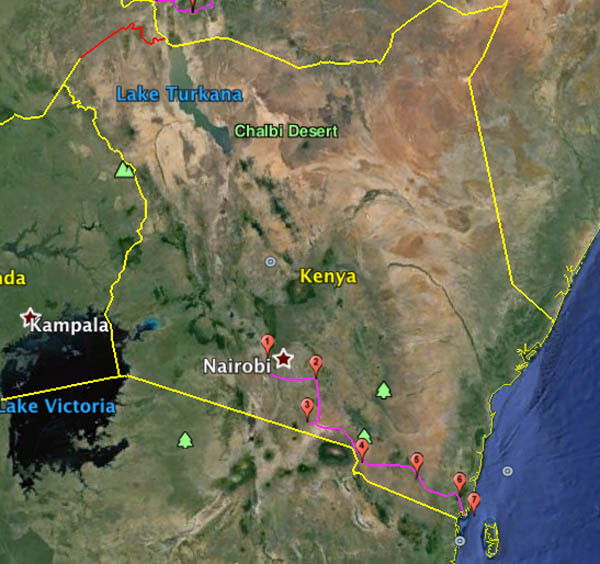 Transfer to Osoita Lodge in the outskirts of Nairobi, from which place the safari will start. Briefing and presentation of the off road motorcycles for the tour starting the next day. Dinner and overnight at Osoita. 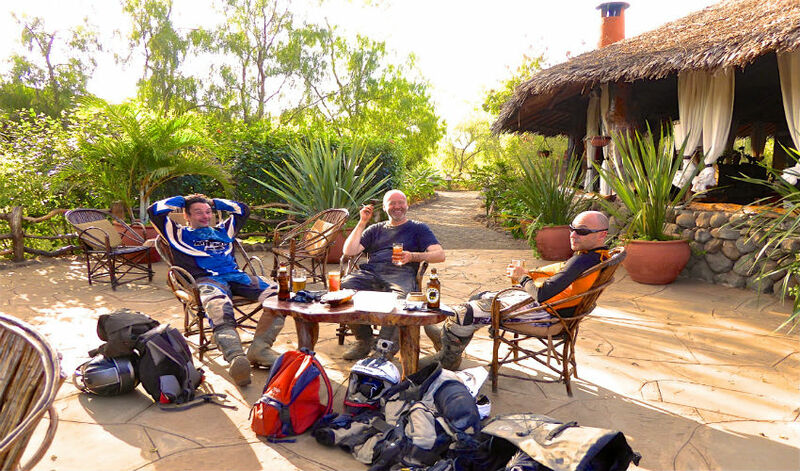 Breakfast at 7.00 then take a track running on the edge of the spectacular Great Rift Valley to arrive at Kajiado Township for refuelling. 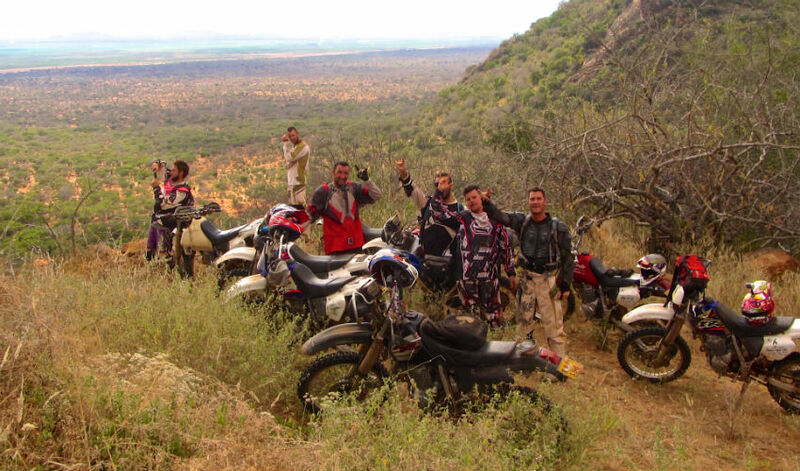 Picnic lunch then take a track across the savannah between acacias and anthills. Arrive through the sandy riverbed of a seasonal river at Selenkay Camp, an eco-friendly camp managed and owned by the local Masai community. 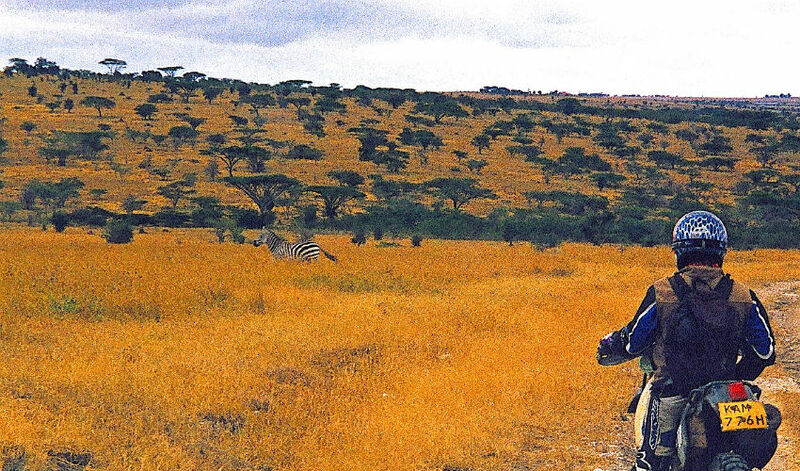 Cultural visit of traditional Masai huts, entertainment to traditional songs and dances. Dinner, cultural talk around a camp-fire, night at the Tented Camp. 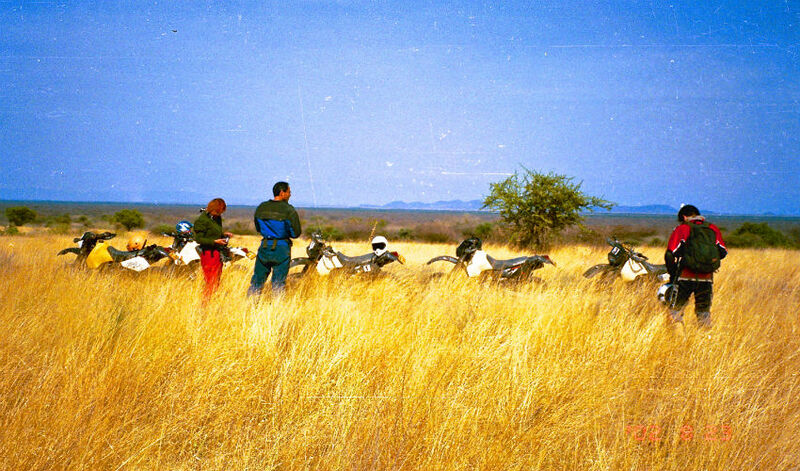 Depart after breakfast through an animal trail, in the savannah across Masai land towards Amboseli national park, with Mount Kilimanjaro (19950 ft) in the backdrop, which in clear weather, sits across the southern horizon in marvellous splendour. 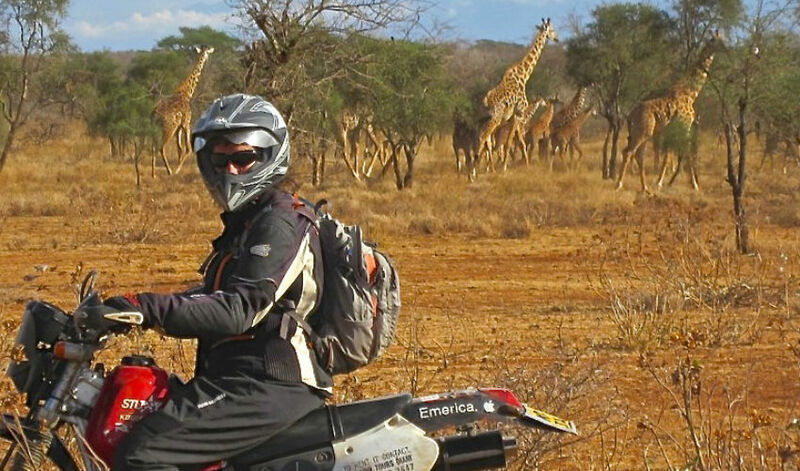 At the boundary of the Park follow a beautiful trail rich in Wildlife such as; giraffe, ostrich, wildebeest, zebras… Arrive at Kibo Safari Camp, a tented Lodge under beautiful Acacia Tortilis, with a majestic view on Mount Kilimanjaro. 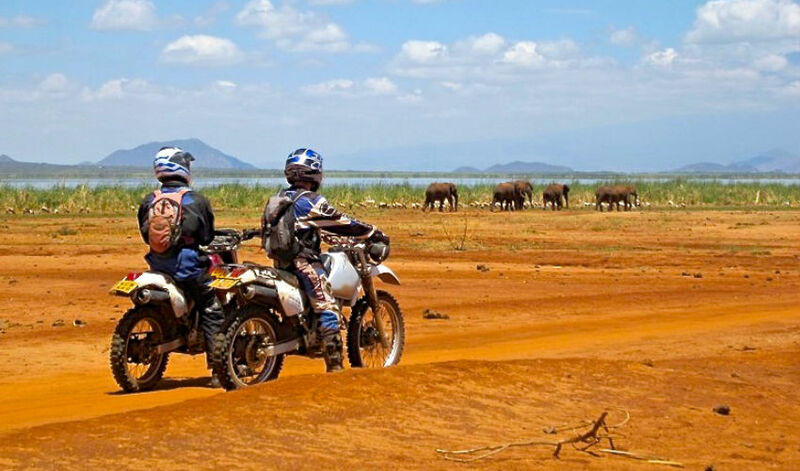 Game drive in the afternoon by 4WD car in Amboseli, the habitat for big cats, herds of antelopes, buffalos, elephants… Return at sunset, dinner and night at the Lodge. 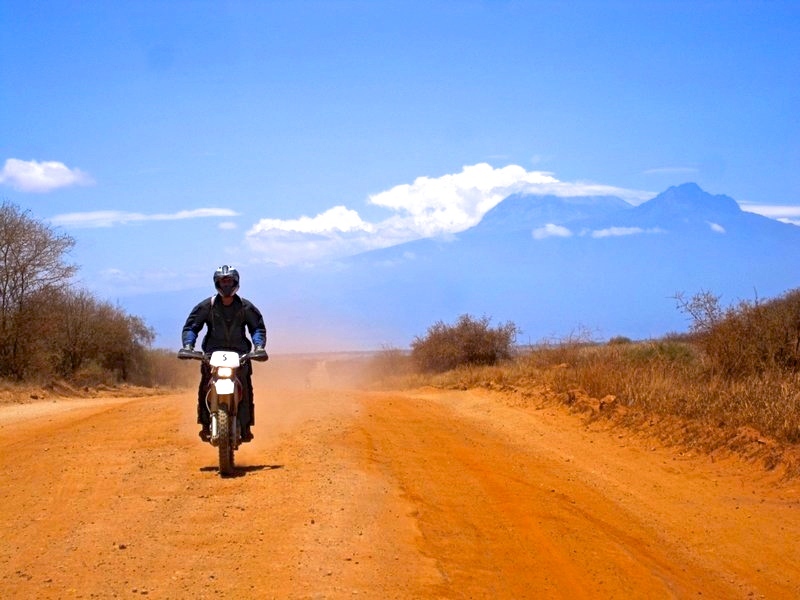 Depart after breakfast, driving away along Tsavo park boundary on a red soil trail covered with black volcanic stones, the Kilimanjaro remains behind in a full enjoyable view. 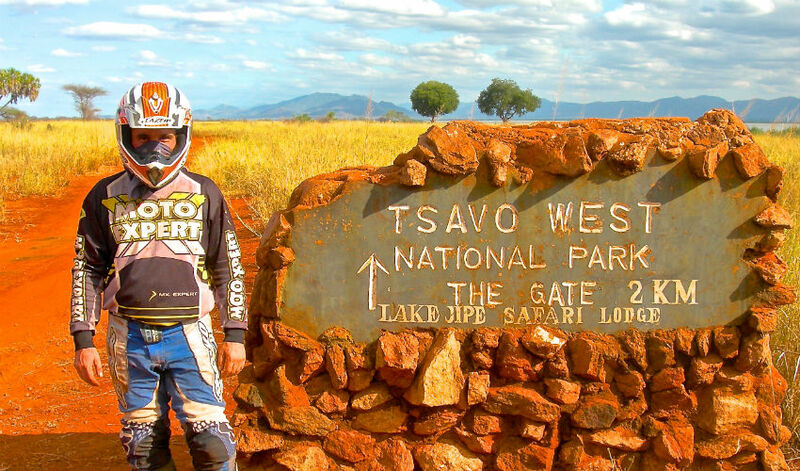 A sandy track leads to Lake Jipe (a part of Tsavo park, stretching in front of Pare Mountains in Tanzania), It is a wild place untouched by tourism and teeming in herds of elephants and a rich birdlife. Settle at the Lake bandas (bungalows thatched with palm leaves) right on the lakeshore. Boat ride on the lake before sunset in to enjoy a close view of hippos. Night in the Banda beds. 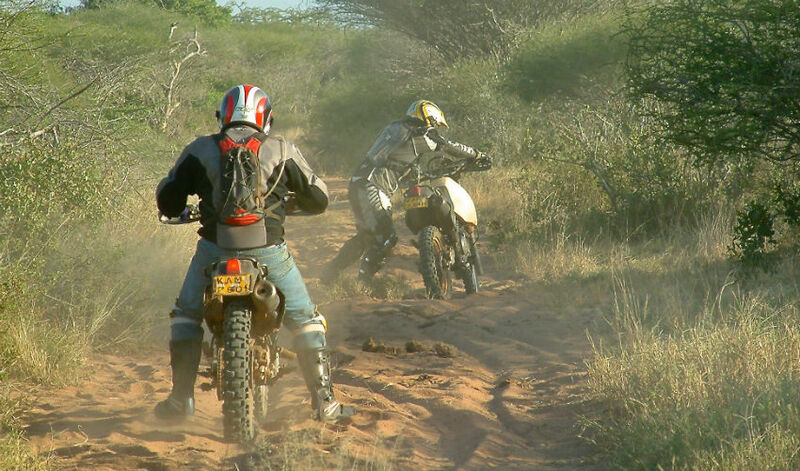 Early morning game drive in the park by 4WD, return at the bandas for breakfast and depart to Taita Hills through the main gravel road linking Tsavo to Tanzania. 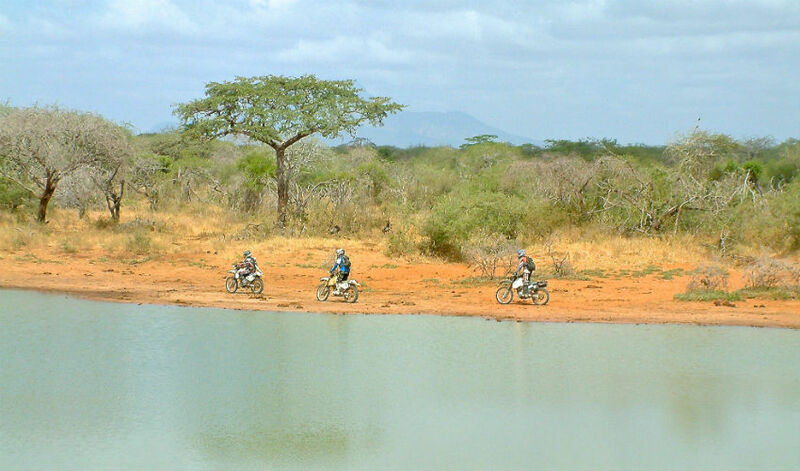 Exiting the Masai territory through which we have been travelling for the past 4 days ! Last refill at Mwatate centre before entering in Taita ranch, home to a large elephant population and vast land of dry shrubbery. 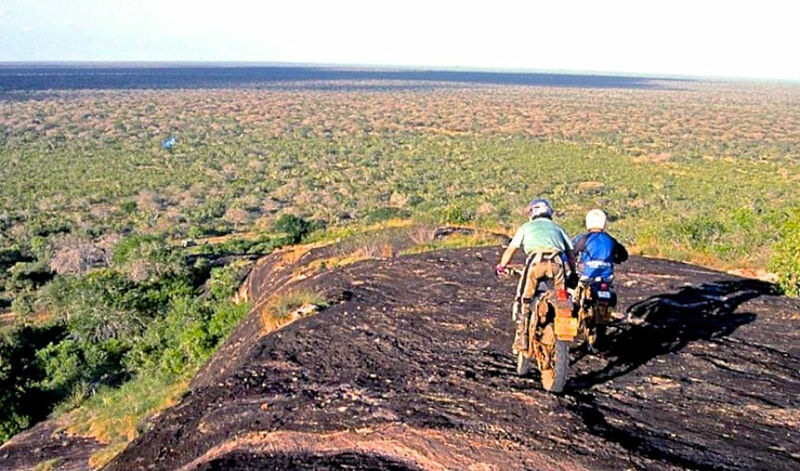 Navigate through bushy vegetation and sandy trail, up a steep track, to arrive at Kasigau Kopje for a spectacular view of Taita land. The Kopje, formed 20Million Years ago in the time of the great rift escarpment has its summit covered with a rain forest ! For the night: at Ndovu House Kivuli Camp, a beautiful thatched cottage in the heart of Rukinga conservancy inhabited by elephants, buffalos, antelopes… big cats . 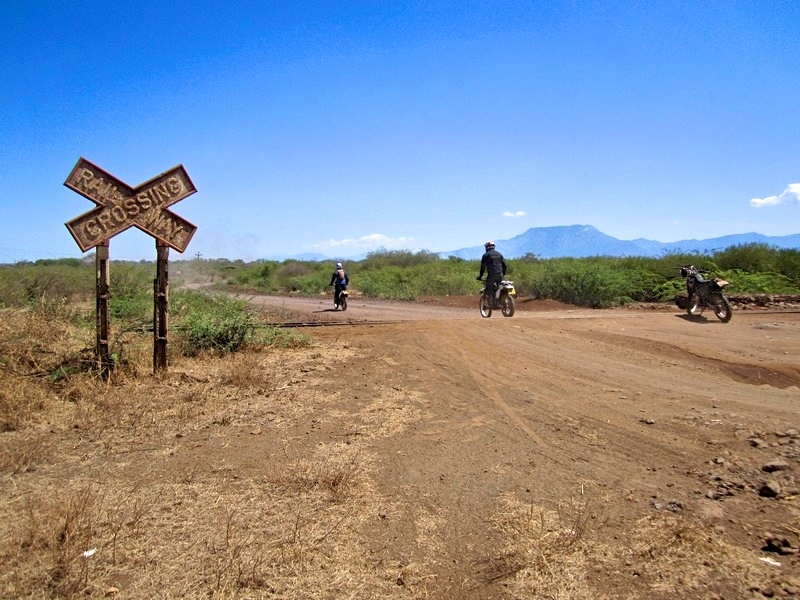 Crossing Taita ranch through a sandy track in the middle of Tsavo wildlife migration corridor to Tanzania also inhabited by shepherds and livestock. The trail ushers you into the coastal region. A remarkable change in the landscape, climate and the local community is gradually evident. 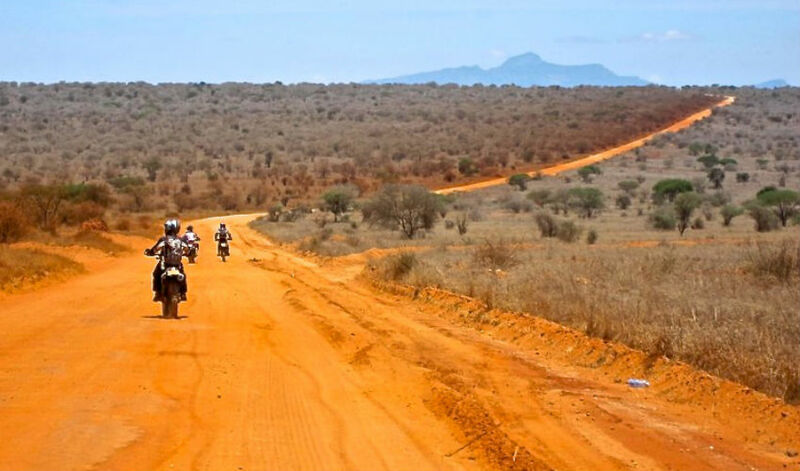 Trails of red soil navigate you through tropical vegetation leading to south coast of Mombasa, passing round Shimba hills (rain forest and home of the mighty elephant). Enter Diani Beach and arrive at a beautiful cottage ; Kusini Cottages set on a wild beach of white sands. Dinner and night facing te Indian Ocean. Beach day at Kusini Cottages. Transfer to Mombasa international airport. 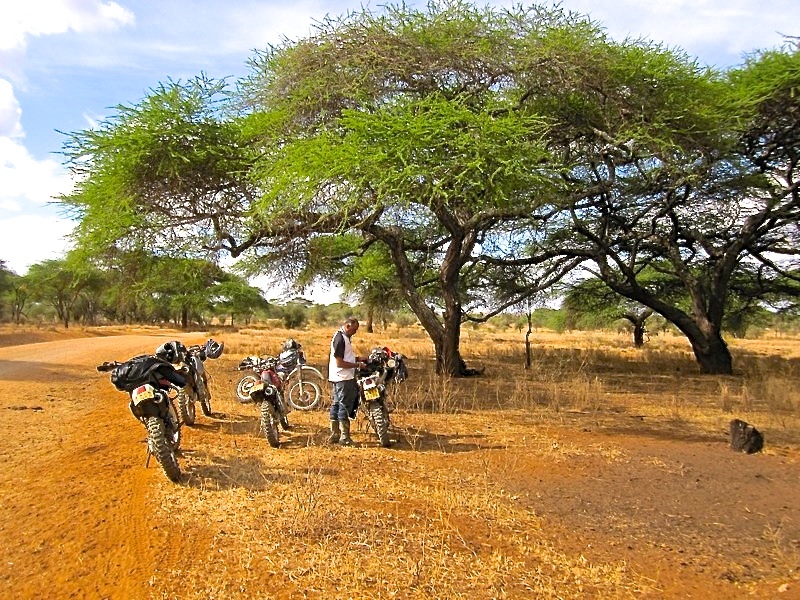 A ride across the country, off the beaten track, on dirt roads, discovering Kenyan’s wilderness. 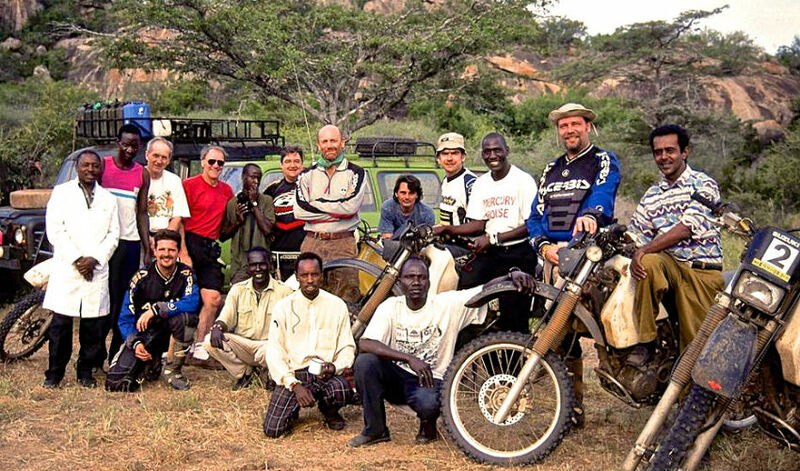 An encounter with local people, enjoy a memorable stay in bush lodges in the middle of nowhere. 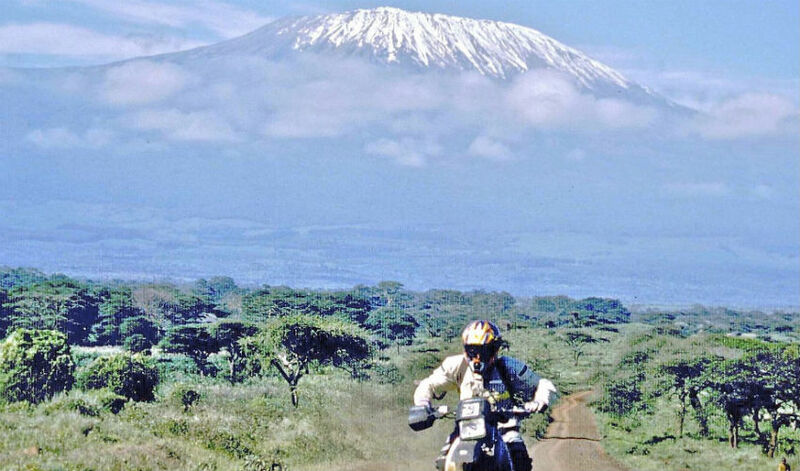 From Nairobi highlands down to Mt. 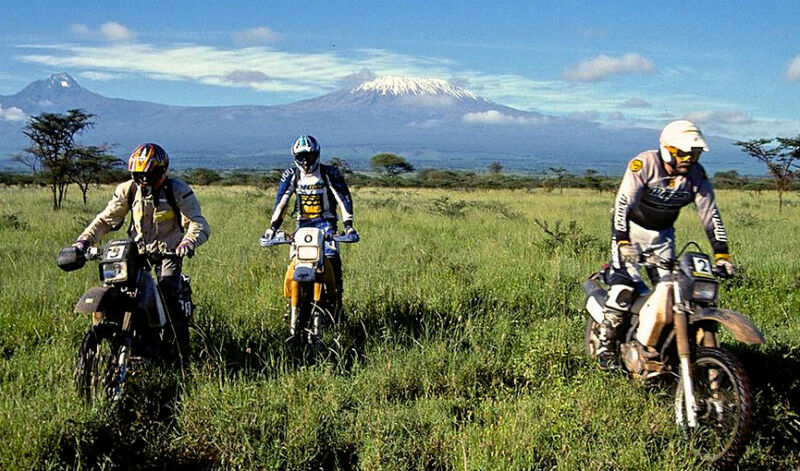 Kilimanjaro, through Amboseli, Tsavo and Taita game reserves to the white sandy beaches of the Indian Ocean. We do not ride inside national parks but encounter lots of wildlife outside.